CAT Registration 2018: All those aspiring to pursue MBA and get into the top management institutes of the country, such as the Indian Institute of Management (IIM), have to write the Common Admission Test (CAT) and get a good percentile score. The CAT is a national level exam conducted by the IIMs on rotation basis. For the academic year 2019-20, CAT will be conducted on 25th November 2018. This article provides aspiring candidates all the information that they require vis-à-vis the registration process. CAT Registration 2018 Online or offline? The entire registration process, including the filling up of the application form and payment will happen through an online process. There is no provision for offline registrations as it has been scrapped by the conducting authority. There will be no CAT 2018 offline facility and the entire process will have to be done online. There is no separate CAT 2018 application form. The application form is a part of the online CAT 2018 registration process. The online registration process for CAT 2018 will begin in August, 2018. The last date for online application will in September 2018. Once the application has been submitted and the payment been made, applicants can still make corrections in the form and check for any inadvertent error in fields like percentage of marks, work experience, and programmes selected, when the correction window opens sometime in the first week of October 2018. Once this is done, the applicants will be able to download their final admit cards. The CAT exam will be conducted across the nation on 25th November 2018.The results being declared by the second week of January 2018.
generate the login credentials (username and password). Read the instructions that follow, mainly informing the aspirants that they will receive the User ID in the registered email address and Password as SMS on the registered mobile number. Overseas candidates will receive both on registered email address. The aspirants are also instructed to fill in the details, especially Name, Date of Birth, Mobile Number and Email Address in the application form, as these details cannot be changed once the registration is complete. Step 1 of the Registration asks aspirants to fill in their Name (exactly as it appears in 10th standard/SSc Certificate), Date of Birth, Email Address, Country, Mobile Number. After checking the filled in details closely, click on ‘Submit’. After you click on ‘Submit’, your User ID and Password will be sent to you, which you can use to login and fill up the form. Click on ‘Go to Application Form’ on top right corner of the page to start filling up the form. Aspirants will be required to furnish their personal details, such as, Name, Date of Birth, Mobile Number, Email Address to receive their User ID and Password. The CAT ID is unique and is provided upon completion of online registration by email. In case you forget your CAT registration ID, check the mail from IIM CAT which reveals your official ID and CAT Registration number. The CAT Registration number is same as your registered user id for CAT 2018. 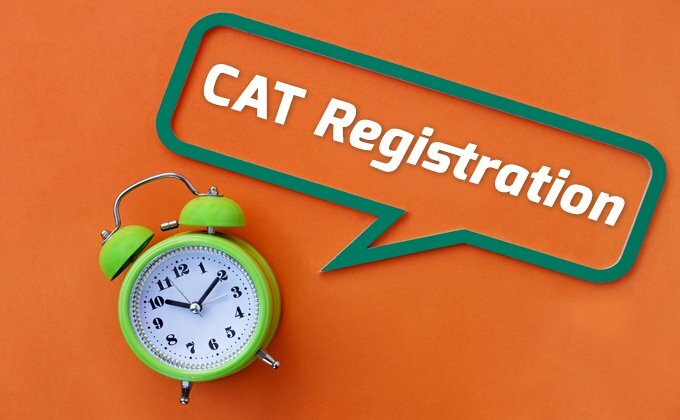 Aspirants should keep in mind that the session of CAT registration expires after 30 minutes, so they need to complete the registration process within the prescribed time limit. How to fill the Application Form for CAT 2019? All the ‘*’ marked fields are mandatory to fill. Click on Save & Continue to proceed to the next section. Use the mouse to move between fields instead of using Tab key. Aspirants can login multiple times to complete the form rather than in a single session. Once the payment is made, no changes will be allowed. Use the user id and password to access the application form by clicking the appropriate link on the website. The application process is likely to be divided into five sections. The dimensions of the photograph are 35mm x 45mm and the dimensions of the signature should be 1000mm x 35mm. The format of the documents should be .jpg or .jpeg and the file size should not exceed 80 KB. The images should be clear with a minimum resolution of 150px. Work Experience (in months) - Only full time work experience after the graduation shall be considered. Part time/ project/ internship/ article ship/ pre-graduation work experience should not be entered and will not be considered work experience. d. Programmes- Under this section, the aspirants have to select the programmes they wish to apply for. The aspirants can select any number of programmes. For each programme selected, the aspirants will have to select an interview city as well. - The aspirants will also have to select any four Test Cities as per their preference from the drop down menu. After the last date of registration, the aspirants will be allotted one among the four preferred cities and either of the two sessions. -Aspirants can pay the application fees through Credit/ Debit Card or Net Banking after scrutinising the details filled in the form again. Application fees for General category is likely to be Rs 1800 and Rs 900 for SC/ST and PWD, along with the additional charges. - After successful payment transaction, you will be redirected to the Application Summary with your payment transaction number. Aspirants who successfully submit the application form on or before the last date will be issued the admit card. The admit card is an important document and is a pre-requisite for CAT 2018 exam. Only aspirants with the admit card are allowed to sit for the exam. The admit card has a lot of information on it. It contains details about the candidate, address of the exam venue, time of the commencement of exam, details about the exam (test system number) and so on. The admit card is made available to the aspirants online and can be downloaded. The conducting body does not send a hard copy of the admit card to aspirants. The rush among people to apply for CAT has steadily been increasing over the years. In 2018, as in previous years, the number of applicants is expected to go beyond 2 lakh. Here’s a look at the number of aspirants who registered for CAT in the last five years. There is no age limit for appearing in the CAT exam. There is no restrictions on the number of attempts a person can give. The first time you click on the website, you will have to create your profile by registering as ‘New User’. Use the User ID generated by the system and the password (sent through SMS or email) to login as ‘Existing User’ the next time. Check your mail inbox, even your spam mail for the User ID. Before filling in the application form, keep all the relevant documents and certificates handy. Also keep scanned copies of documents and certificates, including your photograph and signature in the prescribed resolutions, ready for upload. The CAT application form can be accessed a number of times and you can Save the incomplete form to fill it up later. It is imperative that you have all the requisite documents and files before filling up the form, otherwise the form will not be submitted. Once you fill in all the details, carefully scrutinise the entire form to rectify any errors. This is because, once you submit the form and make the payment, you cannot make any changes to the form. While filling the form, ensure that your name must be the same as that appearing in 10th standard or SSC Certificate. In case there is a change, relevant documents or affidavits need to be submitted. Both email id and mobile number should be valid and functional, as you will get your CAT 2018 login credentials through email and SMS. The test is conducted in two sessions, one in the morning, the second in the afternoon. Aspirants are advised to reach their venues according to the time provided in their admit cards. The aspirant can only appear in the time slot allotted to him/ her and cannot appear in more than one slot. Aspirants are advised to carry an original Photo ID proof, along with their admit cards to the exam venue.